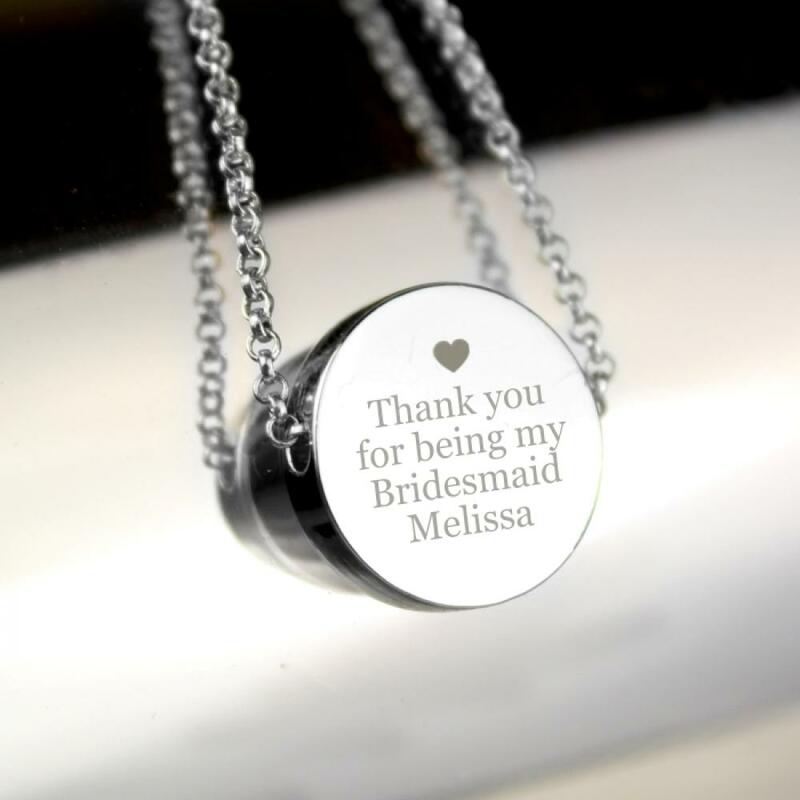 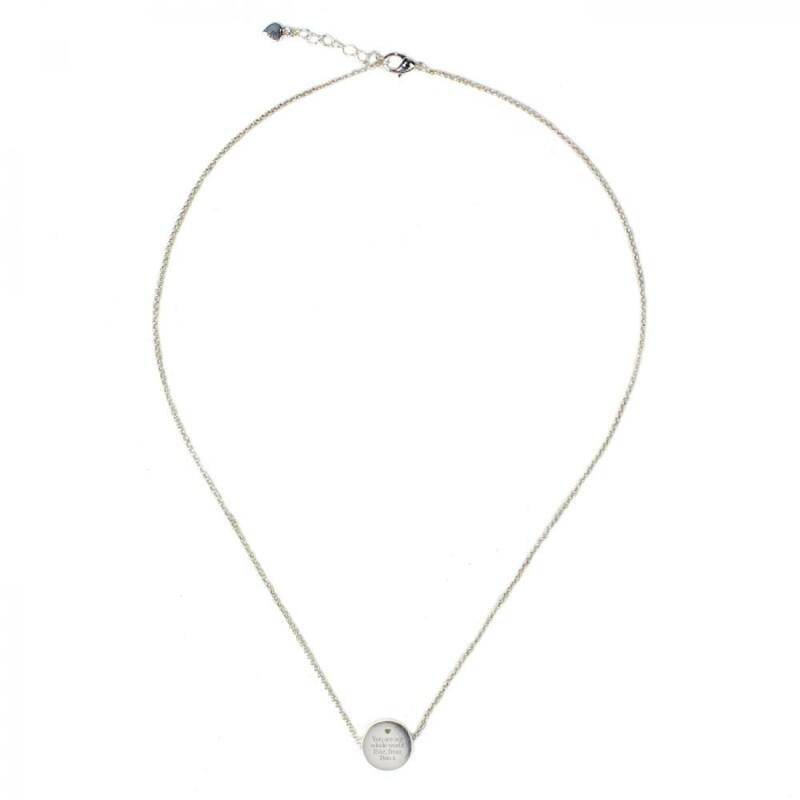 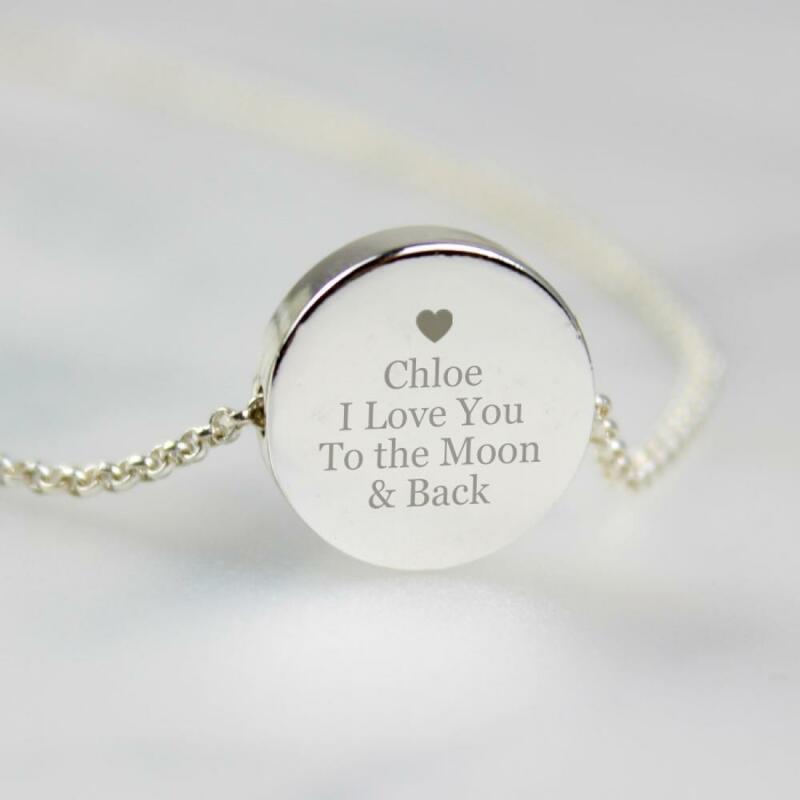 Our stylish and elegant Personalised Heart and Message Silver Tone Disc Necklace makes a wonderful gift for her that is suited to all occasions. 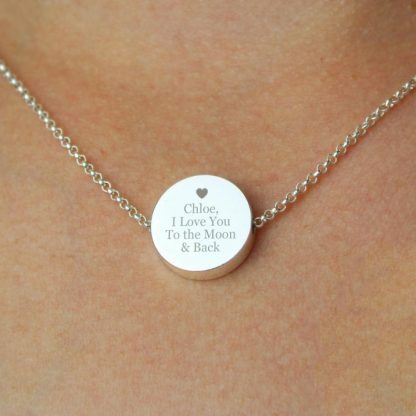 You can personalise the necklace with a message over 4 lines. 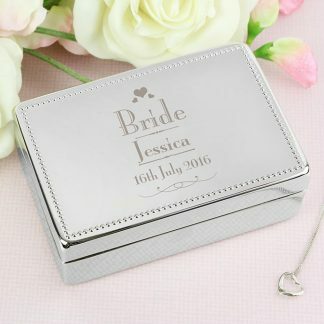 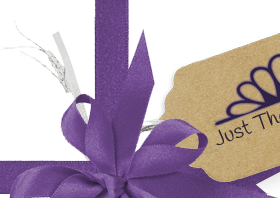 Weddings, Birthdays, Anniversaries, Mother's Day and Christmas.